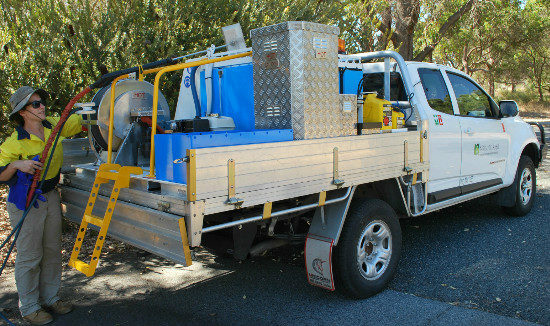 Steam weed control is a chemical free alternative to traditional weed control using herbicides. 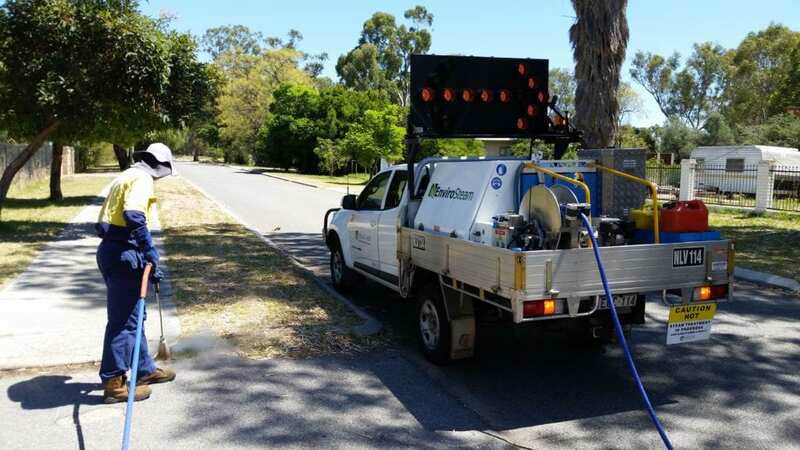 The method involves applying superheated saturated steam under high pressure to weed infestations and is an ideal alternative to traditional weed control along footpaths, kerbs, selected landscaped and streetscaped areas as well as around schools and offices. This method of weed control uses water only, it is safe for use in public areas, has no lasting effects on the environment and can be applied in all weather conditions. 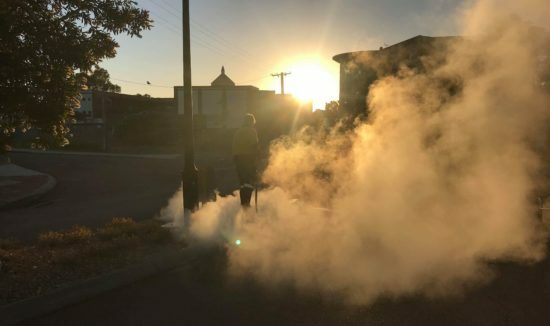 Natural Area currently owns and operates two EnviroSteam units, the latest saturated steam application unit on the market, designed in collaboration between Natural Area and manufacturer Quik Corp to ensure efficiency and safety in operation. 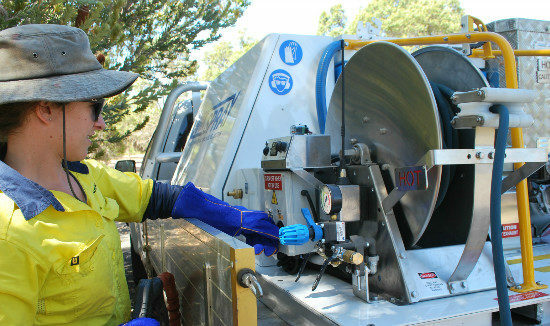 The EnviroSteam is a first-generation Steam Unit Locker System (SULS) developed collaboratively by Quik Spray and Natural Area, and is available as part of Natural Area’s weed control fleet which is the largest in WA. 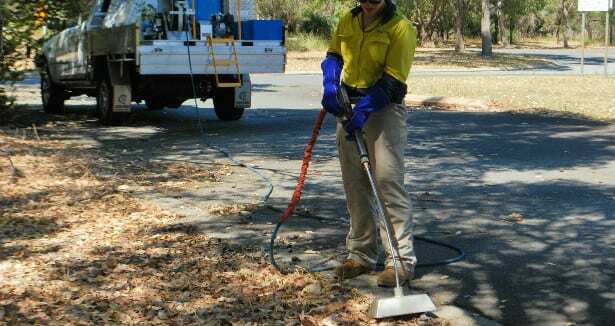 The SULS was developed in Australia by Quik Spray and Natural Area. 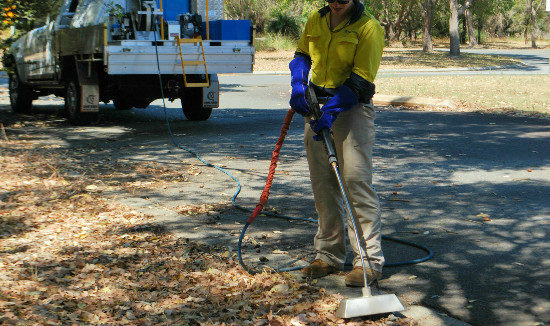 Quik Spray produced the world’s first remote controlled retractable hose reel system and are reputed for their innovation and expertise with spray systems for weed control. 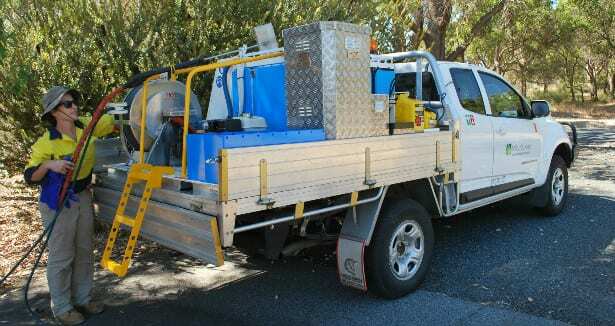 The SULS is a custom-built unit that can be fitted to the tray of a standard Ute, eliminating the need for a trailer, making for safer operation and easier access to treatment areas. The SULS has the features of a traditional Quik Spray weed control unit with the integration of a shrouded boiler to produce the steam. 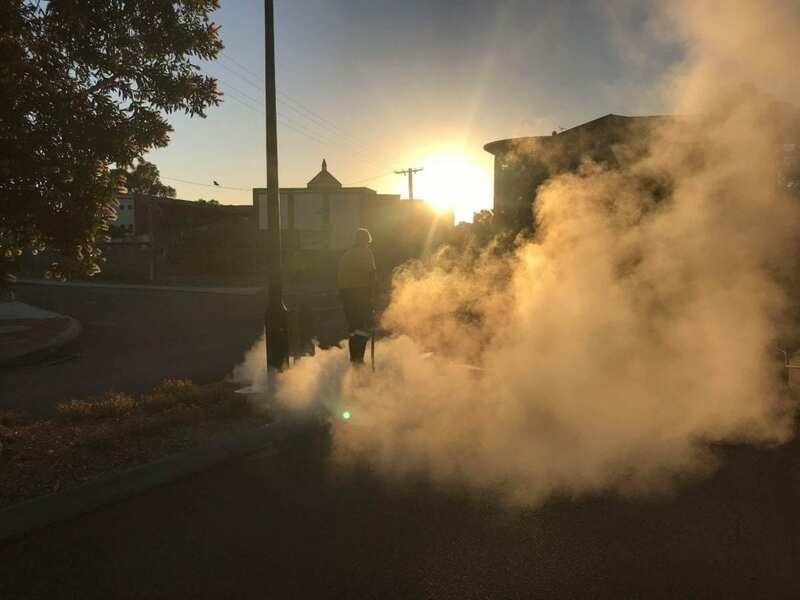 The EnviroSteam is a first-generation Steam Unit Locker System (SULS) developed collaboratively by Quik Spray and Natural Area, and is available as part of Natural Area’s weed control fleet which is the largest in WA. 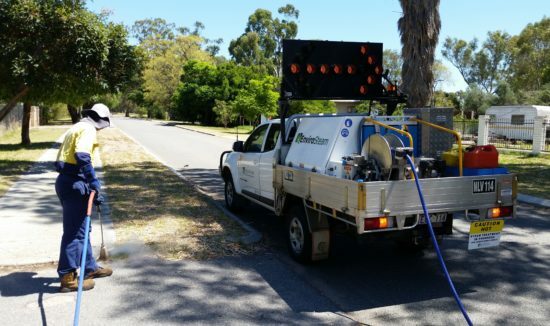 Natural Area’s EnviroSteam unit is ready to be used in Perth and the South West by our team of licenced weed control operators. 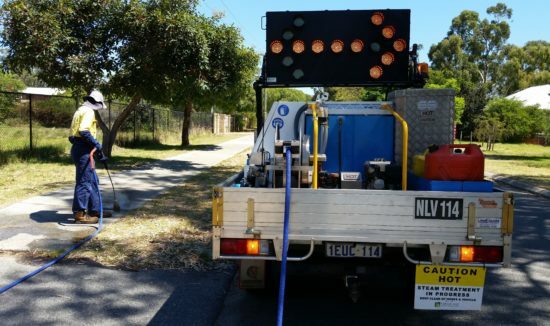 Safety by design was paramount in the development of the system with the boiler being fully shrouded and able to produce hotter steam than other units currently on the market; this reduces application time and provides a cost-effective non-chemical solution for our Clients.